I mentioned yesterday the bay windows. What I didn’t tell you was they had a western exposure and just how intense that sun was. The first year I lived here alone I went for a spartan, fish bowl look in the front room. No window treatments. I had a white lacquered desk in one of the bays with a small stack of books on the corner. After about six months I moved the books for a routine dusting. They left an outline of pristine white on a larger field of dingy, yellow-white. I realized I had to get something up in the windows. My friend Bob worked at the Los Angeles County Museum of Art back in the 1970’s. The museum was just starting to blossom then and it was an exciting time for him. Once I was there and he introduced me to Chris Burden who was still relatively unknown. Other times he would tell me about dating Robin William’s secretary or how he picked up Joel Gray on Santa Monica Boulevard. On another visit he showed me a Warhol Marilyn and several Irving Blum posters someone had given him. 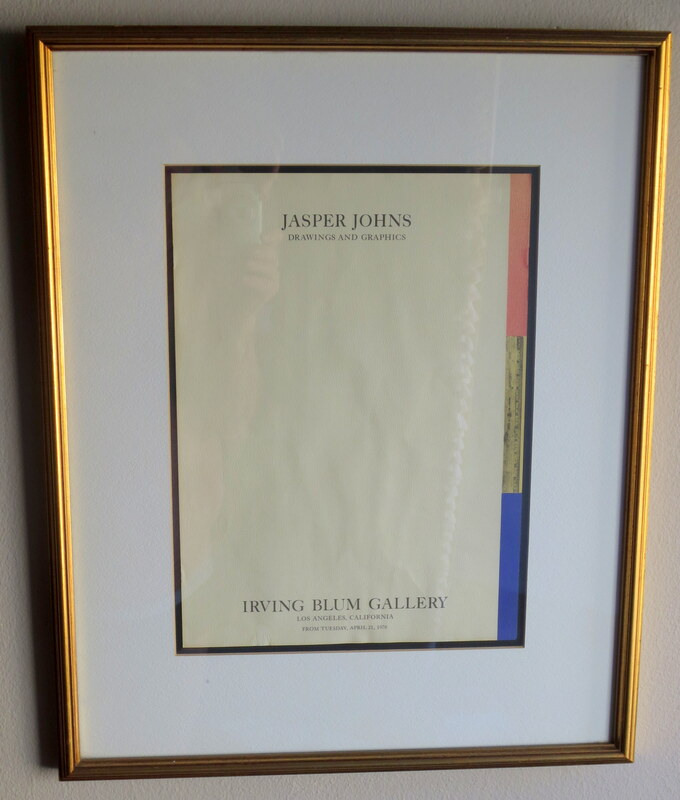 I ended up with the Jasper Johns poster. Even though I tried to protect it in the front room, just having the blinds open for a couple hours a day was enough to fade it. It’s damaged but still treasured. 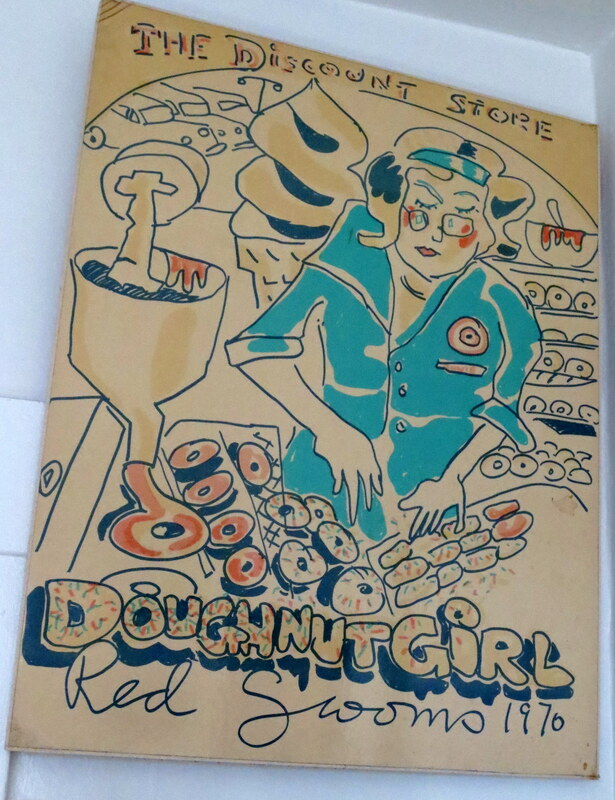 About the same time Rags gave me a Red Grooms Doughnut Girl poster. I wanted to hang it in the kitchen so, to protect it, I had it laminated which severally affected its value. Who knew? Cut me some slack, I was only 25. 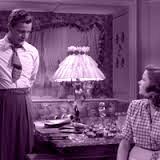 Mark and Charley were watching Laura the other evening and they noticed my Eve Harrington lamp in the background. Both films were made by 20th Century Fox and the story I wanted to spread was that, because Liz bankrupted the studio with Cleopatra, they were forced to recycle props. Alas, both films were made years before Cleo so all we can conclude is they were really cheap.